Choose the Life You Want: 101 Ways to Create Your Own Road to Happiness is a book written by Tal Ben-Shahar. He is an entrepreneur, and lecturer in addition to writing best-selling books in positive psychology. 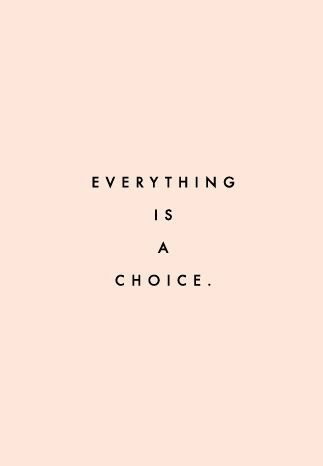 Choose the Life You Want… emphasizes the notion that we have choices in every thing that we do . Our perceptions and the choices we make, no matter how big or small, relevant or not determine how happy and fulfilled we are in our lives. Now, I was already aware in the power of our choices. Given what I already know about Law of Attraction and the like, I do know that I don’t know everything. There is opportunity to learn something from everyone and everything. By keeping myself open, I am able to learn new things and stay on the right path as far mindfulness and positive thinking goes. And with this knowledge, I went forward in reading this book. I’m just getting into Choose the Life You Want: 101 Ways to Create Your Own Road and I have already come across some gems. One of my favorite tidbits so far is what I call the “Choose to Create” theory. 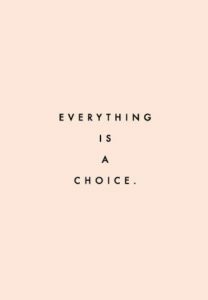 Meaning that through our choices we create our reality, ” Moments add up to a lifetime, choices add up to a life.” Once we figure out the type of life we want for ourselves, we need then ask ourselves what choices need to be made to obtain this life and then take action. Choosing to choose is not always easy. We have to leave comfort zones and travel on roads less traveled, sometimes alone. “Choosing to choose requires effort and courage… ” At times when we take that leap of faith and try something new we struggle and fail, but that is okay because that’s where we learn and grow. We learn resilience. This book covers a variety of topics and situations from relationships, the workplace, and just life in general. So far I’m only halfway finished with the book, and I just wanted to share a few nuggets with you all. My goals is to finish it at work tomorrow but we will see. I also don’t know if I’ll be back to give a full review as I’ll off the grid and on vacation for a few days but I’m digging this book so far. I’ll share how I came across this book and some of my other reads on a future post but until then, love & light.